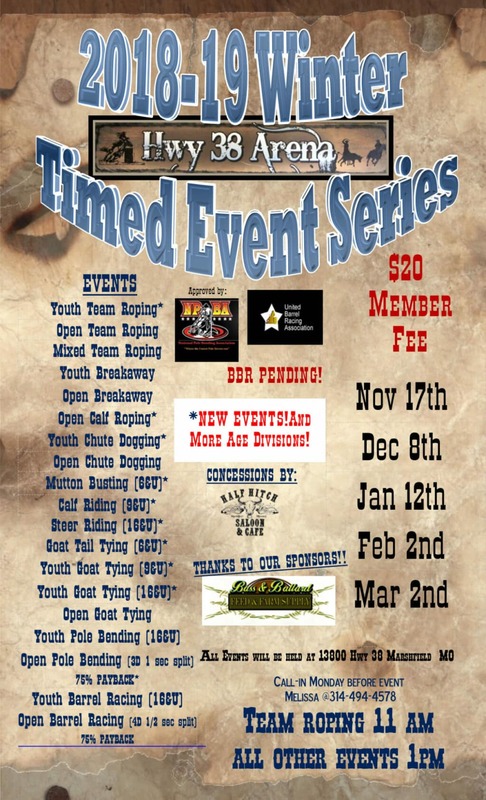 The Marshfield Winter Timed Event Series will be held on Saturday, March 2nd, 2019 in Marshfield, Missouri. This Marshfield rodeo is held at Hwy 38 Arena. This event is also known as the Hwy 38 Arena Timed Event Series.